Holy cow has this been a blockbuster year for superhero movies! Captain America: The Winter Soldier and The Amazing Spider-man 2 have already released. This past Friday was the release of the newest X-Men movie, Days Of Future Past. 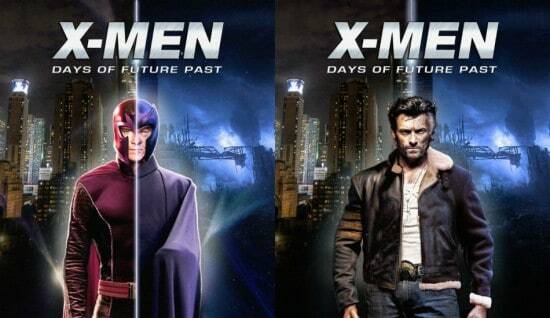 X-Men: Days Of Future Past has probably been the superhero movie I’ve most anticipated. I grew up on the X-Men. I devoured any X-Men comic book I could get my hands on, even the off-shoots and mini-runs of comics. They were what I loved to immerse myself in! So, when they announced one of the coolest comic book storylines was being released at the theater, I was ecstatic. And I knew I had to see it opening weekend. I also knew I had to look for leadership lessons in the X-Men universe. Let me say, X-Men: Days Of Future Past doesn’t disappoint. From the beginning moments of the movie, I was geeking out. Seeing X-Men characters I’d never seen on the big screen before was breath-taking. The opening scenes with Bishop, Kitty Pryde/Shadowcat, Ice Man, Blink, Warpath, and other mutants helped the movie ride in on a high note. From there, the movie only got better, along with the leadership lessons and quotes. 1. Let others help you: In the opening scenes of Days Of Future Past, you see Bishop get supercharged by the other X-Men that were left. He was able to gain power when others hit him with their energy. As young leaders, you can do the same. Let others help you. When they make an offer to help, don’t deny them. And don’t deny yourself. Take all the help you can get. You’ll need it in your leadership. I’ve been trying to control you since the day we met, and look where that’s got us. I have faith in you. 3. The Common Good May Prevail: As the last remaining mutants are fighting, you see Magneto and Charles Xavier (Professor X) join forces to help protect and send Wolverine back to the past. These longtime enemies decided the common good was more important than their differences. You may find there’s a time to join with others whom you feel are your enemies. All because you know something much better will be created if you’re willing to put aside your differences. Where were you? You were hiding. You abandoned us all! Sometimes in our pain we’ll recoil and hide. We may never know the pain we’ve caused others. Don’t let your pain make you shirk back and hide. 5. Find The Common Ground: Professor X, Wolverine, and Beast go to meet a young mutant in the past. Their job was to convince him to join their cause to help free Magneto from his prison. The young mutant was hesitant to trust these men he’d never met. Eventually he asked: “How do I know I can trust you?” I believe it was Wolverine who responded with “We’re just like you.” With that, he joined their cause. To gain the trust of those on your team, you will have to open up. You’ll have to show vulnerability. You’ll have to show them you’re just like they are. Find the common ground and fight for it! Logan, I was a very different man. Lead me, guide me, be patient with me. 7. You Need To Listen To Your Friends: In one pivotal scene, there’s a celebration happening and people are starting to get a little tipsy. One of the officers at the party tells another he needs to slow down. Instead of heeding the advice, he continues to drink. Mystique eventually tries to seduce the man and succeeds. After they head back to the hotel room, Mystique knocks him out and takes his security clearance to an important meeting. Had he listened to his friend, he may not have been put into this compromising situation. How many times have we neglected the advice of friends and wise counsel? There’s a reason we have people around us. We need guidance and help. Don’t throw away the advice you’re given. Put it to good use. Bolivar Trask was very cocky and confident regarding the machines he had created. In the end, this cockiness was a downfall as the machines weren’t perfect. Don’t be overconfident in what you’ve accomplished. Things could still go wrong. 9. Mistakes Can Be Costly: Wolverine was sent to the past to stop Mystique from shooting Bolivar Trask. Not only did shooting Trask boost him to martyr status, it also allowed for Mystique to be captured and her mutant ability to be recreated in the sentinels. Once Mystique was stopped from shooting Trask, Magneto thought it would be a good idea to take out Mystique so her powers couldn’t be used to create the sentinels of the future. Only he made a mistake and shot her. Thus leaving her blood on the ground for the government to collect and still use on the sentinel project. A simple mistake can be costly and change the course of your leadership. Try to minimize the mistakes you make along the way. I don’t want your suffering! I don’t want your future! 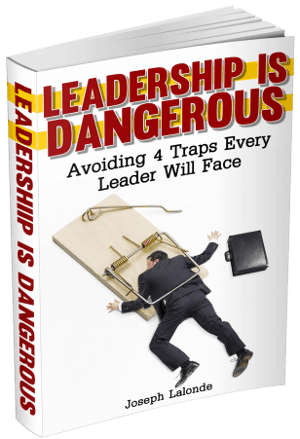 Many times in your leadership you’ll find yourself at a point you’re unsure of. You may want to know for certain what the outcome will be. Unfortunately, you won’t always have the guarantee. Yet you can still take action. Take action! You showed me what I could be. 12. Our differences make us powerful: Mutants in the Marvel universe each have a special ability that makes them different from the regular homo sapien. The mutants can accomplish feats that regular humans only could dream of. Much like mutants, every person has something special deep within them. Stop fearing what you’re good at and do it. This is what makes you special and powerful. Use your power. Bring the X-Men together. 14. Don’t be Afraid To Ask For Help: Two of the major characters, Wolverine and Professor X had to make a plea for help. They knew they weren’t above asking for help. Your leadership will require you to ask many others for their help. Don’t be scared to ask. Step up to the plate and take on your leadership responsibility to ask for help. It’s going to take the two of us, side by side at a time when we couldn’t be further apart. 16. We All Have To Sacrifice Something: If you’ve watched the previous X-Men movies, you know that Professor X was confined to a wheelchair due to a previous injury. In X-Men: Days Of Future Past, the past Xavier was up and walking when Logan was sent to the past. We soon discover that Xavier has been taking a drug cocktail that allowed him to regain the use of his legs while losing his telepathic powers. The same telepathic powers he would need to help change the future! Xavier had a choice to make. Sacrifice his ability to walk or sacrifice his telepathic ability. You’ll come to many crossroads where you’ll have to make a choice on what to sacrifice. Be sure to sacrifice the right things. I have hope for them. There is going to be a time, Hank, when we are all together. 18. Pain Clouds Judgement: We will all feel pain. Bolivar Trask felt the pain of power slipping away. Magneto felt the pain of seeing his race being targeted for extermination. Both of these characters reacted poorly because of the pain they were feeling. Whenever you’re feeling pain, try to hold off on making a judgement call. The pain is more than likely clouding your judgement. Wait til you’ve had time to cool off and think things through. Enough ripples and you change time, for the future is never truly set. Sometimes things will look dark and you’ll see no chance to come out well on the other end. Never doubt there’s the possibility things could change. The greatest gift we have is to bear their pain without breaking and it comes from your most human part, hope. Just because someone stumbles and loses their way, it doesn’t mean they’re lost forever. I love these superhero movies and what they can teach us about leadership. I hope you do as well. If we look hard enough, we can always find the leadership lessons buried within pop culture. Never let anyone else tell you otherwise. Question: What leadership lessons have you learned from The X-Men? Share one or two in the comment section below.